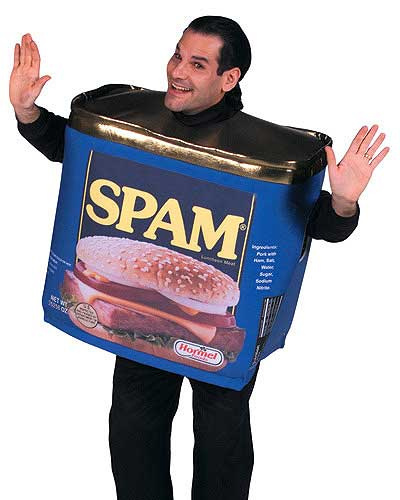 Yes, the topic of SPAM has been discussed a lot , and our moderators and forum regulars have given lots of good examples on what is, and is not, spam. For the most part, we try to stick on topic. I understand that I've spammed myself, and I know that we would all like to make these forums easy to navigate and read. But "commitments" haven't seemed to work to well...we all forget sometimes. This may be extreme, but I feel like it might be a helpful measure to delete any posts in Signing off/on that don't say "I'm signing onto the game or forums". Even (especially?) "where did you go" posts, which could be delegated to Friend locator topic. I suppose this is a sort of rant (I was feeling a bit fed up with all the cluttering posts) but I mean it kindly. Goku, Hanna, what do you think of this? And I want to hear other's thoughts also! while deleting any posts that can be classified as spam or off-topic seems like a good idea, you also have to take into account our current situation. @Goku_Ironheart, to the best of my knowledge, is EXTREMELY busy and can't even be on as much as he used to, and @Hanna_Brassheart may or may not already have a bunch on her hands with keeping the forums how it is now. I do think spam is a "scourge", but while your suggestion may be effective, it might not be actually "effective" in the sense that NOBODY is able to be on at all times and that this is a forums for kids. And kids, as you know, get messy at times. So really, the best thing we can do is warn them about spam and flag it when we can. I hope this makes sense. I'm still against spam, but your idea of delete or moving every post that could fall into that category isn't really possible to be done continuously. This is what I think. Maybe @Goku_Ironheart might think otherwise. Speaking just about my thoughts, I don't particularly think "Signing on/off" will change. I've mentioned about posting in other places to find people after saying you are signing on like 3 times in that thread. About just deleting posts if they are off-topic, Hanna and I have been but every few hours there will be a new string of posts that are off-topic after we have gone through and removed posts earlier. It's hard to stay on top of especially since I can't get on as much as of late so Hanna will have to share her thoughts on what it has been like lately. I am sort of not fussed on the whole "Signing on/off" thread as a whole as it has one and only one use which I find sort of a waste, whereas the "Friend locator/gps" topic could fill both the role it does currently as well as the "Signing on/off" if people just expanded more in their post about where they and how they long they will be there etc it would work fine IMO. Hanna and I have been trying to delete off-topic posts as much as we can but there are just that many, in "Signing on/off" specifically not including everything else, we can't keep up. I think a better way to combat it would be to properly utilize a multipurpose topic eg "Friend locator/gps". I think SPAM is annoying, but it's hard to change it on such a widely used site... I agree that the 'Signing on/off' is getting a little off topic, I have also spammed on that one-asking where peeps are and putting other things like that on there... "Sorry. OOPS!" Just having a look now at the posts in there from 1 day ago, I had to delete 21 posts because they were off-topic, the topic being strictly signing on and off. I don't even know if 21 is a lot or just average for this thread either, @Hanna_Brassheart would have a better idea though. a better way to combat it would be to properly utilize a multipurpose topic eg "Friend locator/gps". Yes, that's a good idea. And I had forgotten about not you and Hanna not being on here all the time. 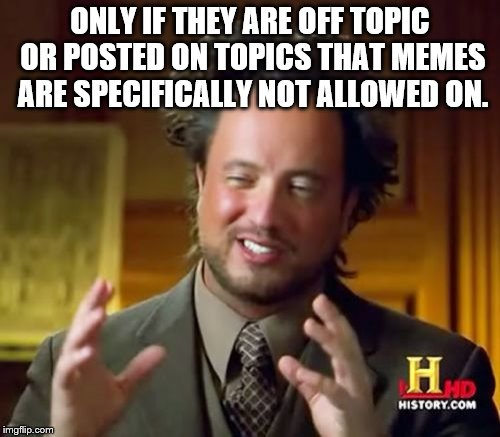 Obviously deleting ALL off-topic posts would be a bit difficult! I have been noticing a LOT more spam recently, although I haven't been on the forums for very long- so I can't compare. I don't know why this is, especially with all the reminders and things like that, which @Goku_Ironheart and @Hanna_Brassheart are working on. every few hours there will be a new string of posts that are off-topic after we have gone through and removed posts earlier. It's hard to stay on top of especially since I can't get on as much as of late so Hanna will have to share her thoughts on what it has been like lately. There's been a lot of proverbial "headdesking," and thoughts that go like this: "Why, oh why... why can't you just quote the person and move to an ON-topic topic? Ughhhh grgrgrgrg." I am trying not to spam myself, but also to help others by suggesting topics and maybe asking them to make one larger post than 4 little ones. But.... I sort of feel like I am not in the right place to say that, I don't know why. Maybe because I am newer or because I don't like correcting people, sometimes because they have been on the forums and/or game for so long. Just keep doing the right. Wouldn't writing your replies in the form of memes be considered spam? I just had to delete around 50 posts. Couldn't you guys be more considerate? There is a topic for about everything on the planet, so, please switch to the other topics when you start going off topic!!!! These weird offshoot conversations need to be stopped and transferred to their correct topics. If you're having a conversation with someone, and they start going off topic, politely redirect them to an on-topic topic with an @ and a quote. The forums are not a chat room! It's really frustrating to have to keep posting about this. Spam has gotten worse and worse and worse. It feels like it will never stop unless some sort of punishment is implemented, and I am 99% sure that's not going to happen. You can't use the excuse that I had to delete all those posts because I had been gone for a week. That might be reasonable. But no. 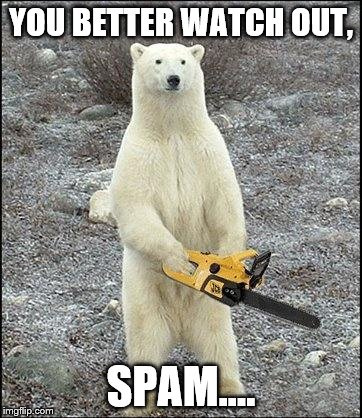 50+ spam posts in 12 hours.